No próximo sábado dia 20 de Março, pelas 15 horas vai-se realizar o primeiro encontro técnico do PortoLinux deste ano. Será na sala B030, da Faculdade de Engenharia da Universidade do Porto. O próximo encontro técnico do Portolinux é no dia 11 de Julho, pelas 9 horas, na Escola Artística de Soares dos Reis. Podem encontrar mais informação na página dedicada ao encontro. Tal como em todos os outros, este encontro é completamente gratuito, aberto ao público em geral e informal/descontraído. Como já vem sendo habitual o site HowtoForge disponibilizou um tutorial passo a passo para a instalação e configuração da nova versão do Ubuntu. O WD TV HD Media Player não tem descodificador DTS, o que impossibilita de visualizar correctamente os MKV que têm a faixa de áudio em DTS. Existe um script para Linux que resolve este problema de uma forma rápida e com o mínimo de trabalho. Este script extrai a faixa DTS, converte-a para AC3 e adiciona a faixa AC3 no MKV. O resultado final é o MKV com duas faixas de áudio, a DTS original e a AC3. O tamanho do ficheiro MKV vai incrementar em cerca de 300 MB. O Debian Lenny passou a ser a partir de ontem a nova versão estavél do sistema operativo da Debian. "The Debian Project is pleased to announce the official release of Debian GNU/Linux version 5.0 (codenamed Lenny ) after 22 months of constant development. Debian GNU/Linux is a free operating system which supports a total of twelve processor architectures and includes the KDE, GNOME, Xfce, and LXDE desktop environments. It also features compatibility with the FHS v2.3 and software developed for version 3.2 of the LSB. Debian GNU/Linux runs on computers ranging from palmtops and handheld systems to supercomputers, and on nearly everything in between. A total of twelve architectures are supported: Sun SPARC (sparc), HP Alpha (alpha), Motorola/IBM PowerPC (powerpc), Intel IA-32 (i386), IA-64 (ia64), HP PA-RISC (hppa), MIPS (mips, mipsel), ARM (arm, armel), IBM S/390 (s390), and AMD64 and Intel EM64T (amd64). Debian GNU/Linux 5.0 Lenny adds support for Marvell's Orion platform which is used in many storage devices. Supported storage devices include the QNAP Turbo Station series, HP Media Vault mv2120, and Buffalo Kurobox Pro. Additionally, Lenny now supports several Netbooks, in particular the Eee PC by Asus. 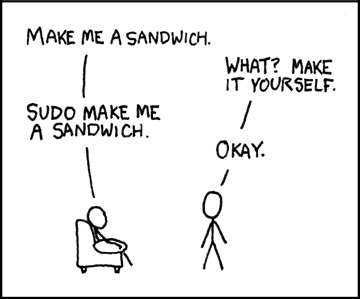 Lenny also contains the build tools for Emdebian which allow Debian source packages to be cross-built and shrunk to suit embedded ARM systems. Debian GNU/Linux 5.0 Lenny includes the new ARM EABI port, armel . This new port provides a more efficient use of both modern and future ARM processors. As a result, the old ARM port (arm) has now been deprecated. This release includes numerous updated software packages, such as the K Desktop Environment 3.5.10 (KDE), an updated version of the GNOME desktop environment 2.22.2, the Xfce 4.4.2 desktop environment, LXDE 0.3.2.1, the GNUstep desktop 7.3, X.Org 7.3, OpenOffice.org 2.4.1, GIMP 2.4.7, Iceweasel 3.0.6 (an unbranded version of Mozilla Firefox), Icedove 2.0.0.19 (an unbranded version of Mozilla Thunderbird), PostgreSQL 8.3.6, MySQL 5.0.51a, GNU Compiler Collection 4.3.2, Linux kernel version 2.6.26, Apache 2.2.9, Samba 3.2.5, Python 2.5.2 and 2.4.6, Perl 5.10.0, PHP 5.2.6, Asterisk 1.4.21.2, Emacs 22, Inkscape 0.46, Nagios 3.06, Xen Hypervisor 3.2.1 (dom0 as well as domU support), OpenJDK 6b11, and more than 23,000 other ready-to-use software packages (built from over 12,000 source packages). With the integration of X.Org 7.3 the X server autoconfigures itself with most hardware. Newly introduced packages allow the full support of NTFS filesystems and the use of most multimedia keys out of the box. Support for Adobe® Flash® format files is available via the swfdec or Gnash plugins. Overall improvements for notebooks have been introduced, such as out of the box support of CPU frequency scaling. For leisure time several new games have been added, including puzzle games as well as first-person shooters. Also notable is the introduction of goplay , a graphical games browser offering filters, search, screenshots and descriptions for games in Debian. The availability and updates of OpenJDK, GNU Java compiler, GNU Java bytecode interpreter, Classpath and other free versions of Sun's Java technology, into Debian GNU/Linux 5.0 allow us to ship Java-based applications in Debian's main repository. Further improvements in system security include the installation of available security updates before the first reboot by the Debian Installer, the reduction of setuid root binaries and open ports in the standard installation, and the use of GCC hardening features in the builds of several security-critical packages. Various applications have specific improvements, too. PHP for example is now built with the Suhosin hardening patch. For non-native English speaking users the package management systems now support translated package descriptions and will automatically show the description of a package in the native language of the user, if available. Debian GNU/Linux can be installed from various installation media such as DVDs, CDs, USB sticks and floppies, or from the network. GNOME is the default desktop environment and is contained on the first CD. Other desktop environments — KDE, Xfce, or LXDE — can be installed through two new alternative CD images. Again available with Debian GNU/Linux 5.0 are multi-arch CDs and DVDs supporting installation of multiple architectures from a single disc; and this release adds Blu-ray Discs, allowing the archive for an entire architecture to be shipped on a single BD. The installation process for Debian GNU/Linux 5.0 has been improved in many ways: among many other improvements, support for installation from more than one CD or DVD has been restored, firmware required by some devices can be loaded by using removable media, and installations via Braille display are supported. The installer boot process has also received much attention: a graphical menu can be used to choose front-ends and desktop environments, and to select expert or rescue mode. 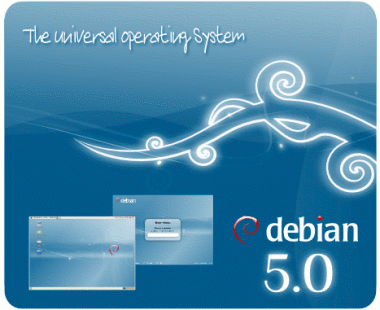 The installation system for Debian GNU/Linux has now been translated to 63 languages. Debian GNU/Linux can be downloaded right now via bittorrent (the recommended way), jigdo or HTTP; see Debian GNU/Linux on CDs for further information. It will soon be available on DVD, CD-ROM and Blu-ray Disc from numerous vendors, too. Upgrades to Debian GNU/Linux 5.0 from the previous release, Debian GNU/Linux 4.0 (codenamed Etch ) are automatically handled by the aptitude package management tool for most configurations, and to a certain degree also by the apt-get package management tool. As always, Debian GNU/Linux systems can be upgraded painlessly, in place, without any forced downtime, but it is strongly recommended to read the release notes for possible issues, and for detailed instructions on installing and upgrading. The release notes will be further improved and translated to additional languages in the weeks after the release."